In my luggages, I had enough space to put a scrapbag with my essentials : my cutter, a mat, a ruler, two decorative scissors, all my Copic markers, few ink pads, four rubber stamps, two sheets of acrylic stamps, 5 ribbons, a paper pad, some assorted stickers, a white gel pen, flowers and leaves, and good adhesives. 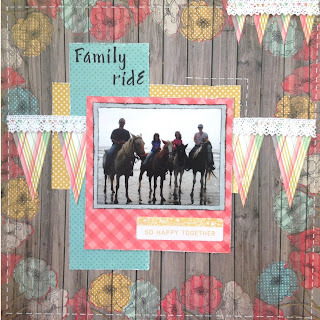 Believe it or not, that was enough to create a page for a challenge : The Grand Diva's creative corner challenge of June. Beautiful photo and I love your paper choices. Wonderful page and interpretation of the sketch! 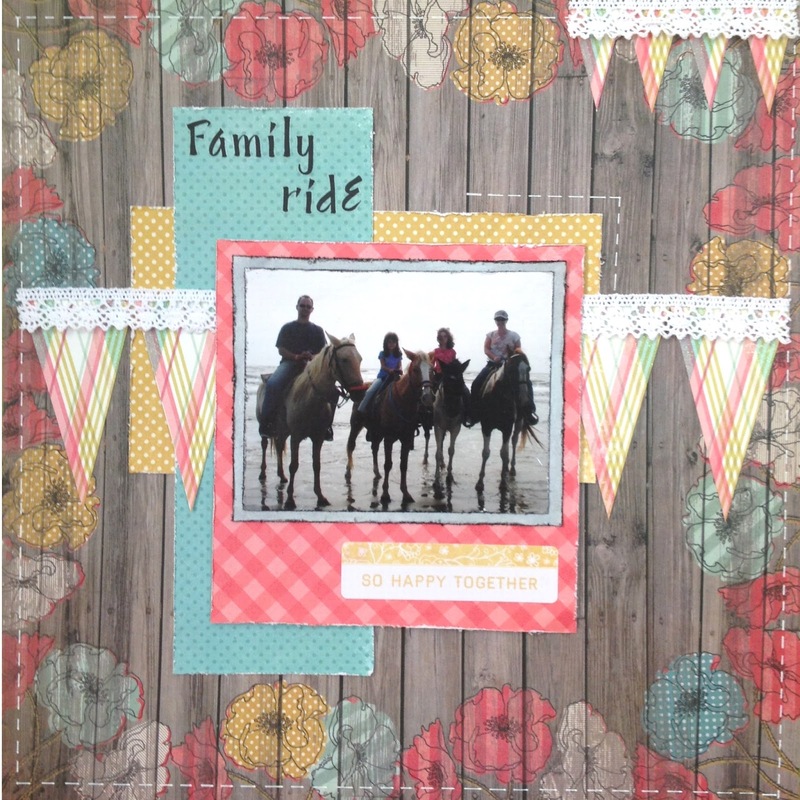 Your paper choices are perfect for Rochelle's inspiration challenge! Thank you so much for playing along this month!